You wake up on derelict ship, with no memory of how you got there. The walls are bloodied and something stalks the halls. You need to find your family but a part of you just wants to climb back into the tube and put yourself in Stasis. Lack of reaction to important PDAs. 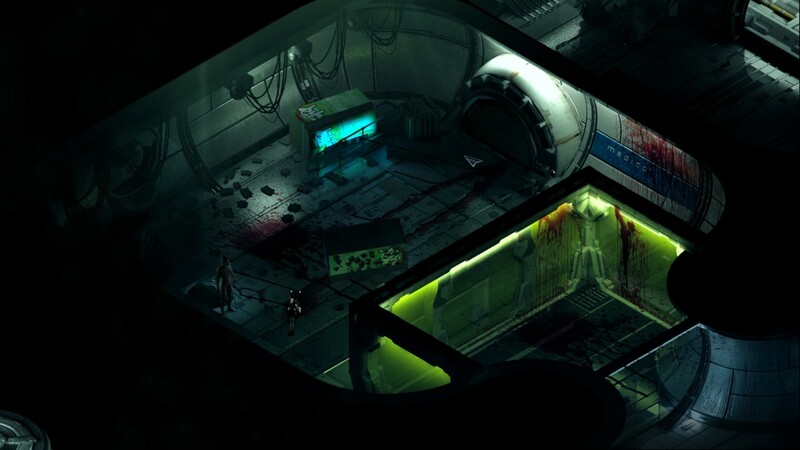 Developed by The Brotherhood Games, Stasis is a point & click isometric adventure horror game. Your character is John Maracheck, woken up on a derelict research vessel from his stasis pod. Last thing he remembers is going to sleep on his long journey to Titan with his wife and daughter. He’s desperate to find them but he’s on his own. Thankfully, he soon meets Te’ah who guides him through the ship. In exchange for finding his family, John has to help her find resources for the escape shuttles for all of them. So starts this shaky arrangement, though things get more complicated when monsters appear and Dr. Malan intervenes. His God complex and his ambitions and delusions won’t allow any of you to survive. This is where it all starts, barely awake and barely alive! Characterisation is strong when it comes to John, which is great as he’s our point of view character for the entire experience. His reactions to the environment and the events are powerful, and even when he has no choice, he will still questions his actions and the consequences. John is a good man and you get to know him very well. The other characters are a mixed bag. Te’ah is a very good character but Dr. Malan lacks some depth, and even reading his PDA there is no other dimensions to him other than delusions of grandeur and godhood. Speaking of John’s reactions, one area where it falls flat is in his interactions with the PDAs you find. Each of them has crewmember journals, revealing snippets of the plot and backstory. He reacts to some of them, but never to the really strong ones, the ones that mention important information that affects him directly. It’s a bit disappointing when you see him react in shock or surprise to a reveal when you read that information on a PDA ten minutes before. These reveal so much about the world and characters! Stasis departs somewhat from the traditional point & click adventure controls in that you never need to click on objects to examine them. Instead, just hovering over them will make text pop-up explaining what John sees. It saves time on inane monologues and lets you switch easily from one point of interest to another. Sadly, it’s lacking on its descriptions on items in your inventory. It merely tells you their name, but no additional information. One thing I love about the game is that you can double click on anything and John will sprint towards it. In a game with large environments as this one, this little feature is more than welcome. It also makes the moments where you can’t do it feel more powerful. Puzzles come in both logic and inventory types and both can lead to a certain amount of frustration as you figure out what it is that you need to do. Rarely does it work to try everything on everything, like you do in other point & clickers. Instead you need to pay attention to clues left in memos and journals to solve most puzzles. A mid-game puzzle that has you operating on yourself is a perfect example, as you need to use PDAs and computer notes to figure out a chemical formula. One thing that is frustrating is that Stasis is from that vein of point & clickers where you can click on your character. So if he’s too close to a hotspot you’re interested in, there’s a chance you’ll use the item on John instead of your intended target. Get used to watching dried blood on walls, it’s the most predominant décor! There are moments where doing the wrong thing will get you killed and while in some instances it’s pretty clear that you shouldn’t do something, in others Stasis will teach you by killing you. For example, I once died from a dangerous gas but only received a warning of its presence after I’d pressed the button that killed me. These moments of learning by murder become increasingly frustrating. Stasis is a game with an amazing and chilling atmosphere. I was afraid of opening the next door, or when I saw a shadow flicker. I thought I saw the sinuous movements of a murderous creature up ahead, and it just inspired a moment of “nope” in me that made me turn back. Sadly, while the atmosphere is amazing, the lack of danger other than from your own poor decisions defeats some of the purpose of setting that atmosphere. While I’m in no way a fan of timed sequences, a few of these with monsters in tow would’ve done wonders for the horror. 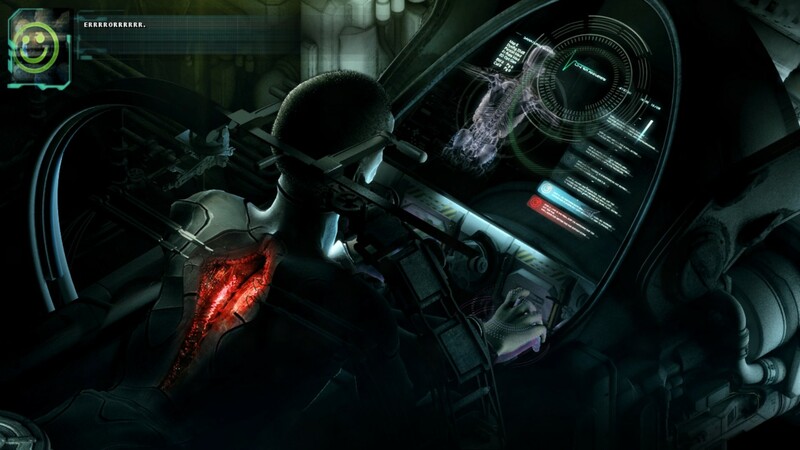 While in the past I’ve spoken of horror games that waste the scares with a slew of jump-tactics without the proper buildup, Stasis only has the buildup, without many climaxes to take advantage of it. Screams in the background, a gruesome hologram and shadows flickering all give you a nice scary jolt, but they’re few and very far in between. This is a tricky one, and took me a few tries and same number of deaths! Speaking of screams, sound design is superb. The voice acting is strong and John is a convincing protagonist, Dr. Malan, despite my reservations about his characterisations, has a proper villainous voice. Te’ah’s actress nails the character’s pragmatism while still giving her some vulnerabilities that make her endearing to us and John alike. The music is also exquisite, with powerful pieces that evoke sadness, tension, fear and despair, but never was the game more effective than when it cut off the music entirely, when the only thing you can hear are the echoes of your footsteps on the hard metal floors. In these moments, your tension spikes because without music, surely something is coming, right? 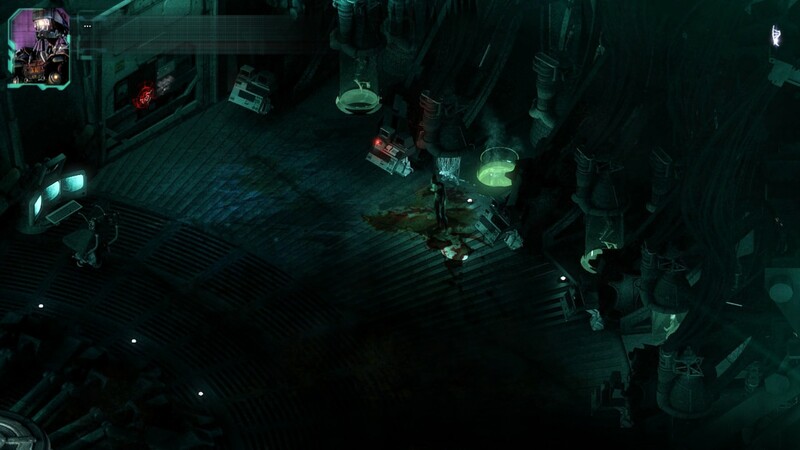 Stasis uses sound, both melodies, sound effects and pure silence to play with your emotions and it does so splendidly. Visuals are something else. With isometric adventures, you’re not going to be looking at detailed characters, as you don’t see much of them. But what you can do is focus on their animation and the environmental design. Animations are fluid and life-like and I’ll never get tired of watching John run, because I can feel the muscles working as he pounds the ground sprinting. He feels alive. Environments are as scary as everything else is and I had flashbacks of Alien, Event Horizon, System Shock 2 and Dead Space all combined. I felt as if I were on the Rickenbacker, the Ishimura, Nostromo and the Event Horizon. 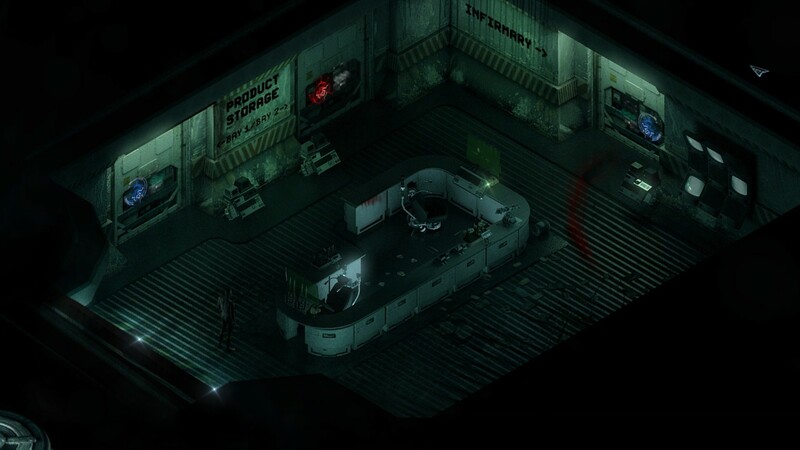 The ships’ hallways had words of despair etched or scrawled in blood, the body bags lining the rooms, the broken down hallways, the lifepods with very little life in them, all combine with the gameplay and the aforementioned sound design in building this outstanding and oppressive atmosphere I’ve mentioned over the course of this review. This one freaked me the hell out! 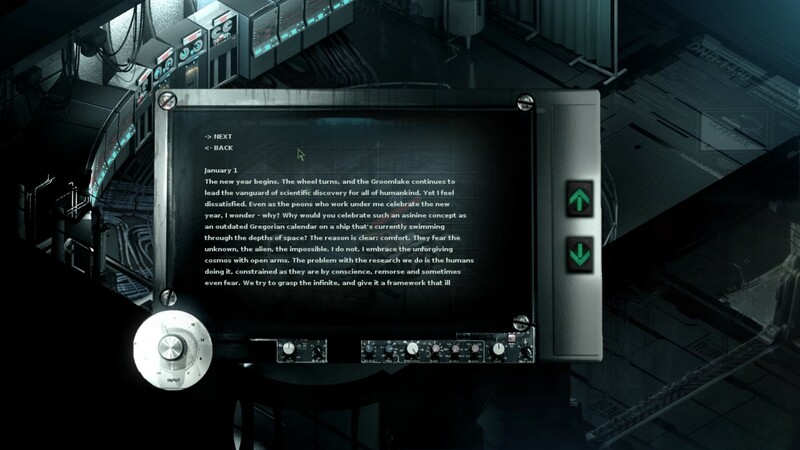 I may have a few issues with Stasis, but it is one of the most powerful horror games I’ve ever played. While it didn’t make me scream, it made me jump a few times and made me scared of pointing and clicking, and that is an accomplishment! Also, they killed a cat in the game, and that’s just evil!